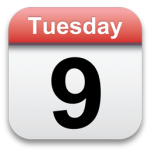 When: Monday December 3rd, 2014 from 6:30pm to 9:00pm. Jesse Rodgers is the Director of Creative Destruction Lab and has been in education and technology for the last 15 years. 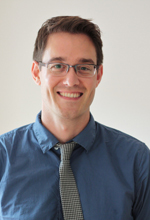 Prior to founding TribeHR (acquired by NetSuite in 2013), Jesse was Director and pioneer of the VeloCity program at the University of Waterloo. Jesse holds a M.Sc from the University of Liverpool and a B.A. from the University of Waterloo. “I’m always excited about our speakers but trust me, you’re going to want to catch what Ben Yoskovitz has to say. Ben really has done it all. When it comes to startups, he’s founded, he’s invested, he’s been acquired, he’s incubated, and he’s even recently authored. While Ben also brings a unique Canadian experience after having lived in Montreal, Halifax, and now Toronto, he’s able to call Guelph his hometown having grown up here. DemoCamp is an event that brings together developers, creatives, entrepreneurs and investors to share what they’ve been working on and to find others in the community interested in similar topics. For presenters, it’s a great way to get feedback on what you’re building from peers and the community, all in an informal setting. Started back in 2008, DemoCamp Edmonton has steadily grown into one of the largest in the country, with[masked] people attending each event. Welcome note by the Mayor Mike Savage and Keynote Presentation by J.P. Morgan. After serving as Acting CEO from 2007 to 2010, J. P. Morgan now serves as CTO, leading on product design and new product development. Student demos, startup demos and lightening round talks. This entry was posted in Edmonton, Guelph, Hamilton on November 12, 2014 by kevinbrowne. Adrian is the Chief Technology Officer (CTO) at factor[e]. As the leader of a team of dedicated technical professionals, his roles range from hands-on development and engineering work to project management, strategy development and consulting. Adrian graduated from the Computer Science – Software Engineering programme at Mohawk College in 2000. He has over fifteen years of professional development and project management experience, ranging from large and complex database-driven systems, to fun experiments and mobile applications. When it comes to software development, Adrian values the combination of an amazing user experience with technical robustness, reliability, and precision. This entry was posted in Edmonton, Hamilton on January 14, 2014 by kevinbrowne. Mike Kirkup will be joining us. Mike has deep experience in the mobile space after a long run with BlackBerry. The past few years he’s been entrenched in early stage startups in his role as Director of VeloCity at University of Waterloo. Thunder Bay is also planning their 2nd DemoCamp for late November! This entry was posted in Edmonton, Guelph, Hamilton, Thunder Bay on October 28, 2013 by kevinbrowne. After an International award-winning online Marketing career promoting others’ offerings, Colin started his own firms. He first developed an online social media startup, then in another venture built over 1000 high traffic websites. 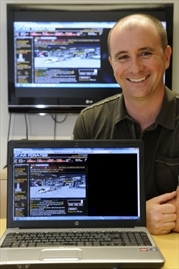 In 2008 he cofounded Snakehead Games and has not looked back. Expect to see the world debut of three new video games produced locally in the demo line-up, as well as a cool new SaaS business, amongst other great built-in-Hamilton apps! Halifax DemoCamp 2013 will take place during HPX Digital. Also, look out for upcoming DemoCamps in Guelph and Niagara soon! This entry was posted in Edmonton, Guelph, Halifax, Hamilton, Niagara on September 6, 2013 by kevinbrowne. In case you haven’t seen it, David is seeking feedback about rebooting DemoCamp. The first ever mHealthDemoCamp (@mHealthDemoCamp) took place December 13th at MarsDD, the event was hosted by Monolith Interactive and a summary of the event has been posted here. Drinks and networking to follow at Original Joe’s on campus! 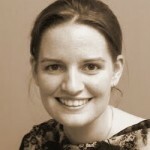 The keynote will be done by Janna Cameron, Usability / Accessibility Specialist @ Desire2Learn. A champion for accessible design in technology, Janna Cameron’s work has been focused on extending the reach of technology to a portion of the population that has been inadvertently sidelined. By working closely with developers, designers and engineers to develop a fuller understanding of how people with disabilities use the web, Janna has parlayed a passion for user research into a career that has helped remove barriers to education. She brings a sense of humor and optimism to her work, encouraging others to join her in making the web accessible to all. Anybody in Ontario that’s interested is welcome to attend. There’s been a nice surge in student startups in Hamilton (e.g. TurnChannel, Groupnotes), expect to see others like OverAir demoed at this event. This entry was posted in Edmonton, Hamilton, mHealthDemoCamp on December 29, 2012 by kevinbrowne. Looks like things are rocking and rolling in Edmonton. Cost: Free – sign up to attend! If you are interested in Demoing send us an email and we’ll add you to the list. Demos are on a first come first serve basis so the first 5 people that email us are in! This entry was posted in Edmonton and tagged #democampyeg on March 28, 2011 by davidcrow. Originally from StartupEdmonton and MasterMaq. Scott Montgomerie showed us My Edmonton, an app he originally developed with a few other people at Edmonton’s first Startup Weekend. It started life as a real estate app, but evolved to be more of a local utility, with information on events, news, property info, and nearby services. My Edmonton is available both on the web and as an iPhone app. You can learn more at the blog. Our second demo was from Yegor Jbanov, who showed us Deckle, an online print job automation tool. Targeted at the professional printing industry, Deckle integrates with Adobe Creative Suite and supports precision printing, such as for cheques which have strict requirements on layout and positioning. Yegor said that if you can do it with InDesign, you can pretty much do with with Deckle. Mo Hamdan was up next, to show us Promptu Manager, a tool for managing fixed assets. Promptu is a Windows application, with a user interface very reminiscent of accounting packages such as Simply Accounting or Quick Books. Unfortunately the demo didn’t go as smoothly as Mo had hoped. It’s difficult to make a series of data entry screens interesting, I guess. Our fourth demo was from Trevor MacDonald, who showed us Pluggin.it. The idea is to leverage your social network to help you sell stuff. Let’s say you have a car that you want to get rid of. You can offer a reward and then get your friends to “plug” your listing, and if their assistance leads to an eventual sale, they can claim part of the reward. Pluggin.it is in beta (they are having a launch party tonight) but looks pretty polished and definitely has some potential. You can learn more at Brittney’s blog. Our final demo was from Andrew Czarnietzki, who works at 3DI (here’s a profile I did in 2009). He showed us a game he developed in his spare time that makes use of some of the interesting technology available to him at 3DI, such as pureLIGHT. It was really interesting in that it used “weird geography” and light as its unique features. When you fired your weapon, for instance, the light would bend around the geometrical shapes in the game. Looks like it would be a fun game to play on Xbox Live or something like that! As a fan of open data and local apps, I really enjoyed My Edmonton. If you haven’t seen it before, check it out. I think Pluggin.it is a neat concept as well, and everyone really seemed to enjoy the demo. It’ll be interesting to see what kind of uptake it gets. My favorite demo was probably the game though – I love it when developers experiment with stuff just because they love it. Who knows, maybe one day Andrew’s game will be available on Xbox Live! Global Game Jam Edmonton is taking place from January 28-30. 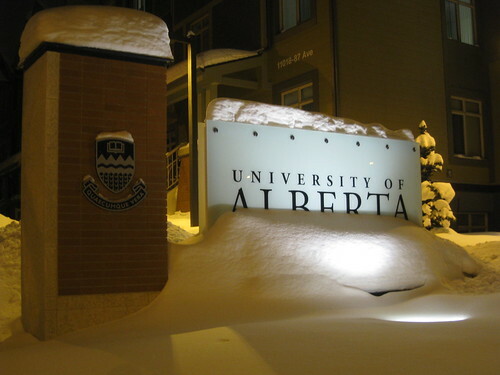 Startup Weekend Edmonton is taking place from February 11-13. Edmonton is now included in StartupDigest, so sign up to get notifications about events and other cool stuff that is happening. Stay tuned to Startup Edmonton for information on all of the exciting things we have planned for 2011! Thanks to everyone who came out to lucky number 13. See you at DemoCamp Edmonton 14! This entry was posted in Edmonton and tagged Edmonton, mastermaq on January 25, 2011 by davidcrow. This entry was posted in Edmonton and tagged dce9, Edmonton on November 16, 2009 by davidcrow. Who? You! – All are welcome! & It is free to attend. Why? 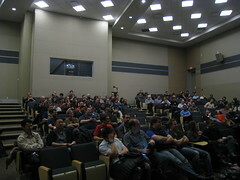 The main goals of DemoCampEdmonton is to build connections in the Edmonton community. Cam and the gang in Edmonton are hosting DemoCampEdmonton2. The first event was a huge success with 6 presentations and over 70 attendees. The Edmonton crew has done a great job embracing the core tenants of DemoCamp, “[o]ne of the main goals of DemoCamp is to build connections in the Edmonton community”. Events like DemoCamp and the upcoming BarCampEdmonton should help provide events and a call to action for people in the Edmonton area to come together, get excited and share what they’ve been working on. This entry was posted in Edmonton and tagged barcamp, democamp, democampedmonton, Edmonton on April 20, 2008 by davidcrow.